1. 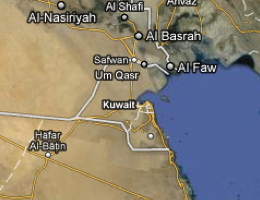 Sung Un, Paper Chase: Kuwait court invalidates newly elected parliament, Jurist, June 20, 2012, Link (last visited Jun 21, 2012). 3. Constitutional Court Ruling, Kuwait National Assembly, June 21, 2012, Link (last visited Jun 21, 2012). 1. Mahmoud Harby, Sami Aboudi & Pravin Char, Kuwait’s ruler suspends parliament for a month, Reuters, June 18, 2012, Link (last visited Jun 19, 2012). 2. Abubakar a. Ibrahim & Nihal Sharaf, Cool off … Take a month: Amir, Arab Times, June 19, 2012, Link (last visited Jun 19, 2012). 3. Kuwait’s emir suspends parliament for one month, Pakistan Daily Times, June 19, 2012, Link (last visited Jun 19, 2012). May 17, 2012, Link (last visited May 18, 2012). 2. Reuters, Kuwait – Islamic Law Proposal Blocked, New York Times, May 18, 2012, Link (last visited May 18, 2012). 1. Al-Shorfa, Kuwaiti MP says his constitutional amendments promote political reform (2010), Link (last visited Jan 12, 2012). 2. Arab Times, The constitutional amendments suggested by MP Ali Al-Rashed will not touch the essence of the country’s constitutional system (2012), Link (last visited Jan 12, 2012). 3. Brown, Nathan, Pushing towards Party Politics? Kuwait’s Islamic Constitutional Movement? (2007), Link. 4. Hussein Al-Dallal, Mohammed, Comments by Mohammed Hussein Al-Dallal, Political Relations Official and Member of the ICM Political Bureau in Kuwait, on “Pushing towards Party Politics? Kuwait’s Islamic Constitutional Movement?” by Nathan Brown (2007), Link. 1. International Constitutional Law Project, University of Berne, Kuwait Constitutional Background (2010), Link (last visited Jan 12, 2012).